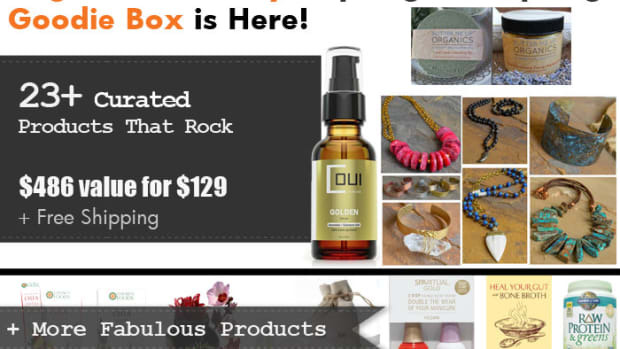 This treasure trove of goodies is filled with the best in eco-friendly non-toxic beauty, skincare, makeup, wellness, and foodie goodies for radiant beauty on every level of your being. 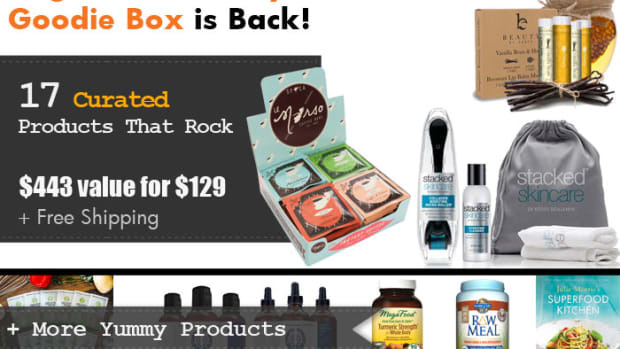 Includes 15 beauty + wellness, and 12 foodie products for everyone who needs a little (or a lot) of pampering--especially you! 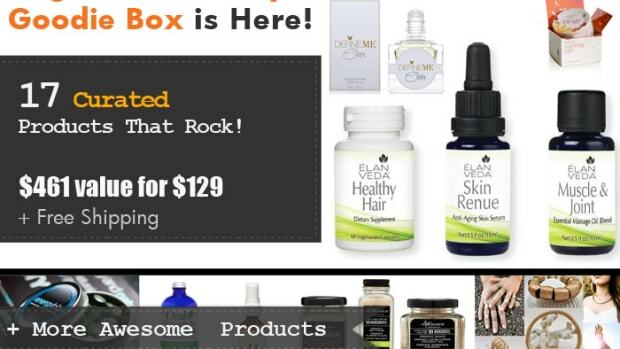 We only have 50 Goodie Boxes available, each filled with $439+ worth of products for the hot sale price of just $129.00 + free shipping! (That&apos;s a 71% savings for you shopahollics). Beginning Friday, August 21st, we will reveal several brands per day. 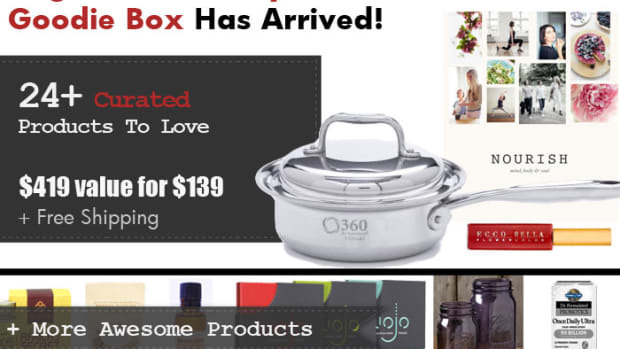 The Goodie Box will go on sale Monday, August 24th, 2015 at 8 o’clock am Pacific Time. Set your timers and mark your calendars–these will sell out fast. Buy one, two or three, for yourself and all your friends and fam! The last box sold out in just 20 minutes. This offer is only available to the first 50 buyers. When we are out, we are out! Check back daily to see what the big reveals are. Shine from the inside out with superfoods packed for on-the-go convenience. Shine Organics was created to make superfoods more accessible. At home or on-the-go feed yourself nature’s best–real fruits and vegetables combined with chia seeds and nutritious superfoods. Each pouch contains a delicious harmony of ingredients blended to support your entire wellbeing and nourish a healthy lifestyle, so you can Shine from the inside out. Beauty Goodie Box customers will receive one Purify pouch along with three free trial coupons so you can try all four ingredient blends: Purify, Elevate, Calm, and Revive. 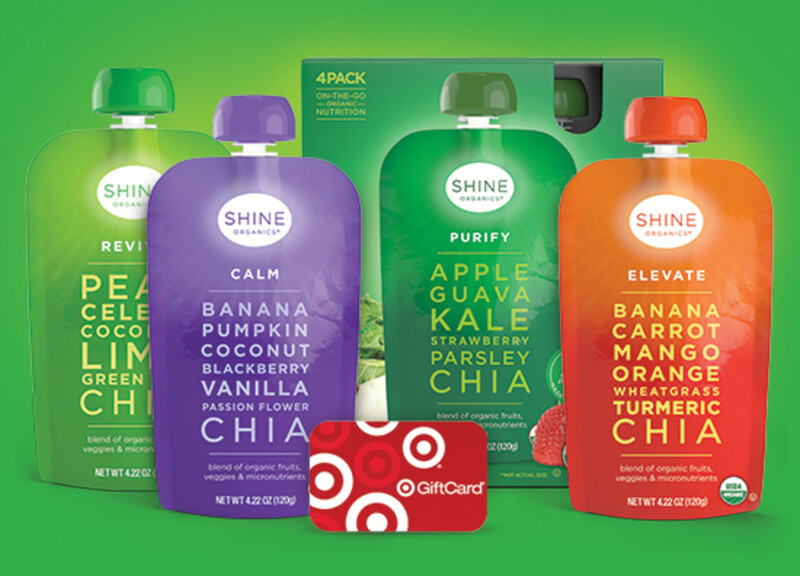 Customers will also receive a gift card to receive a 4-pack of each flavor directly to your home complete with free shipping, and a $50 Target gift card, where Shine products are currently available. If only you could vanish unsightly imperfections in skin. Now you can, with Vanish from SkinAgain. Vanish is formulated with a blend of shea butter, avocado seed extract, and bentonite to create one of the most brilliant, non-invasive alternatives for fading the appearance of cellulite, stretch marks and scars. SkinAgain formulates all of its products to support healthy skin and a healthy lifestyle. 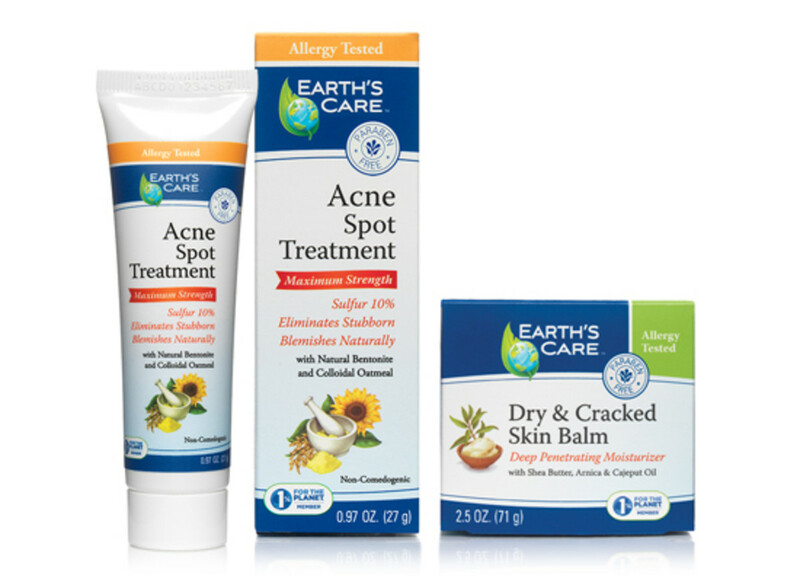 Every product is vegan, gluten-free, paraben and sulphate-free, and cruelty-free. SkinAgain uses maximum strength key ingredients that can make dramatic improvements to the skin. Each cream is designed with a positive purpose. The brand has labeled each cream with positive intentions and affirmations. Each is meant to inspire your own positive spirit about the skin you’re in. The line also places inspiring holographic stickers on the back of every product that infuse positive energy and intentions as a reminder of the positive steps you’re taking to improve your skin and your self-image. Gift card features a code for Beauty Goodie Box customers to use during checkout at Skin Again&apos;s online store. Gift card includes free shipping, and expires 1/1/2016. Put your best face forward with Era Organics. The line&apos;s Complete Natural Face Moisturizer Cream includes an advanced moisturizing 10-in-1 formula, feeding your skin all the nutrients it needs for optimum health. 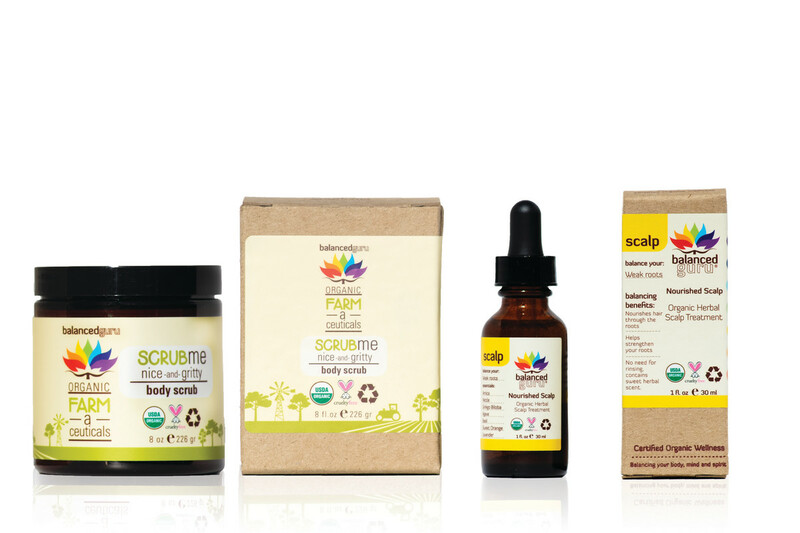 The family-owned US-based brand believes nature provides us with just about everything we need, so it combines organic, food-grade ingredients to feed your skin all the different vitamins, minerals and amino acids it needs for optimum health and healing. According to Era Organics, most cosmetics are between 8-10 on the pH scale, so even if they are natural or organic, they could be harming your skin’s immune system and cause a wide array of skin conditions. 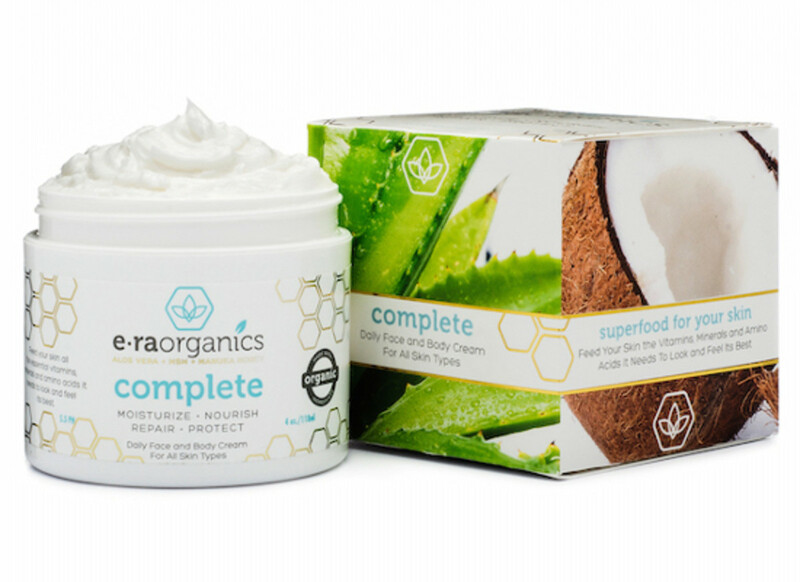 Era Organics&apos;s advanced healing 10-in-1 moisturizer cream not only nourishes, but also helps detoxify your skin while balancing it back to its ideal 5.5 pH, so you can be truly comfortable in your own skin. How would you like a facial each and every day? Um, yes please! 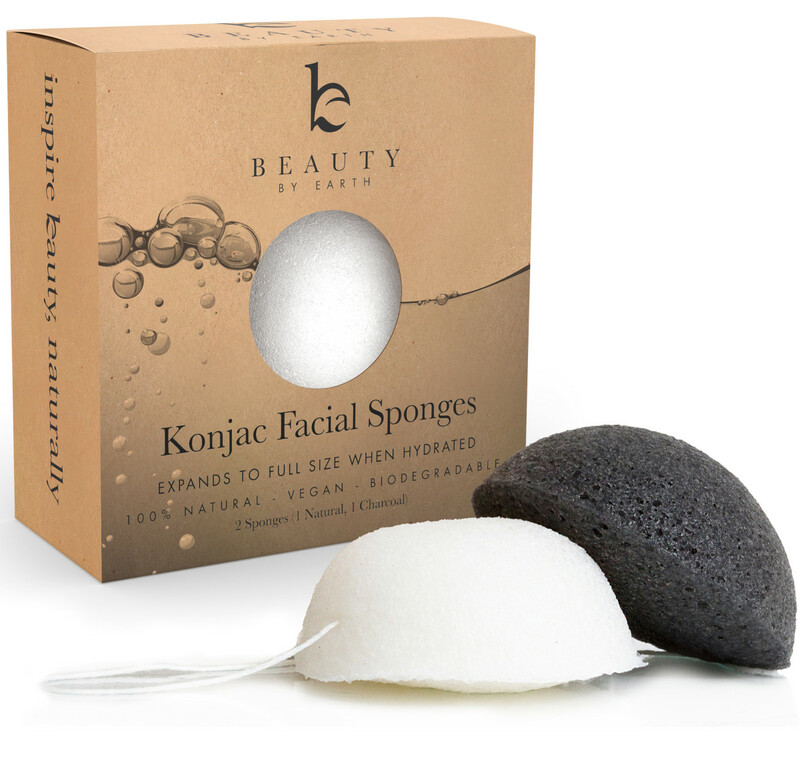 Beauty by Earth&apos;s Konjac Sponges are simple, 100% natural (they&apos;re made from pure edible vegetable roots! 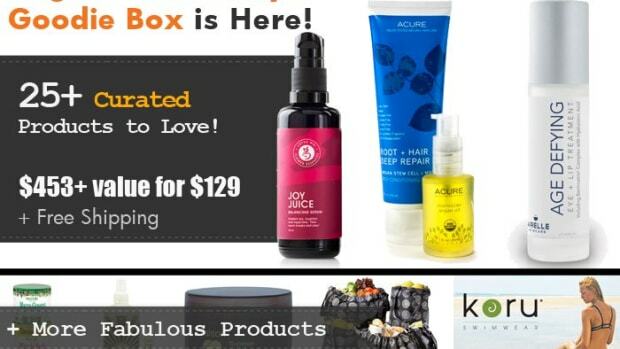 ), eco-friendly, effective, deep cleansing, non-toxic, and vegan. Basically, they&apos;re as pure and gotta-have-it as a beauty product can get. These Konja Sponges are soft and gentle and nothing but goodness for your skin. They cleanse the skin like nothing you have ever experienced, leaving your face clean, glowing and silky smooth. Box includes two sponges. 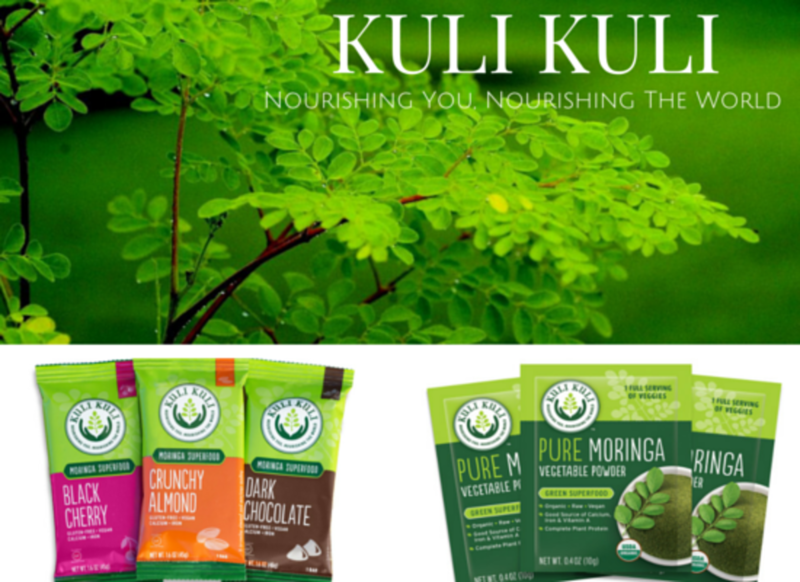 Moringa Super Food Bars: Made with no more than six pure, wholesome ingredients, these bars are the perfect, delicious way to get your daily dose of vitamins. The line feature flavors like Crunchy Almond--plump dates and a tad of agave nectar add a hint of sweetness to a delicious moringa and almond medley). Black Cherry--tart cherries and sun-ripened dates mingle with moringa to produce a vibrant cherry bar that is sure to keep you coming back for more. And Dark Chocolate--a deliciously chewy date and almond base carries a hint of cacao to savor the palate of a chocolate lover, leaving a kiss of black cherry. Beauty Goodie Box customers will receive three bars in a variety of flavors (not necessarily one of each). Arnica flower: native to Europe, has a long history of topical use. Kaolin and bentonite clays absorb excess oils and impurities, relieving skin congestion. Kimarine® Wakame is a potassium-rich, magnesium-rich seaweed that is clinically proven to protect skin against environmental pollutants (exhaust fumes, cigarette smoke, heavy metals). Bladderwrack is an antioxidant-rich, mineral-rich seaweed known for its water-binding properties, supporting healthy skin hydration and nourishment. 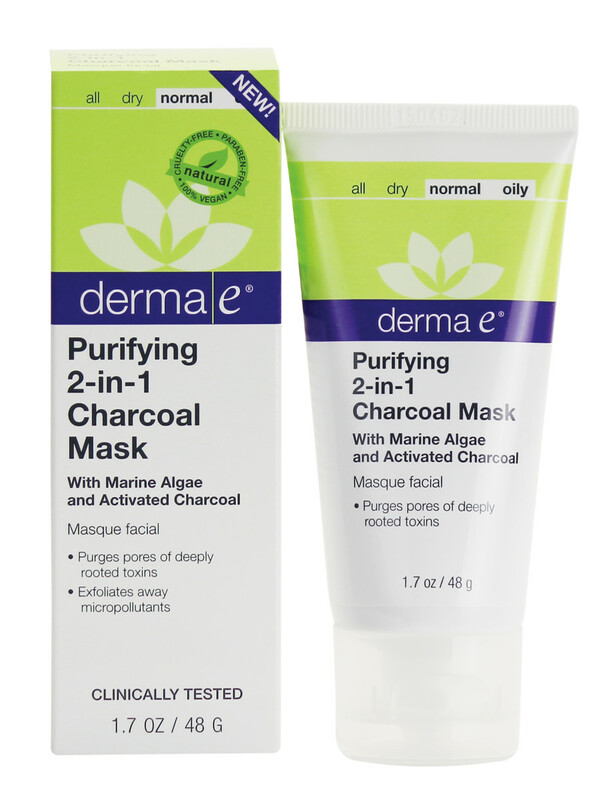 Activated charcoal, known for absorbing 100 to 200 times its weight in impurities, purges pores of deeply rooted toxins, then apricot seed powder gently exfoliates away micropollutants. Ideal for oily, active or urban skin types, even safe for reactive skin (minimal ingredients and allergy-tested). Use this formula once or twice a week for skin that looks dramatically fresher, healthier and purely glowing. Beauty isn&apos;t just found in what you see, but in what you smell. 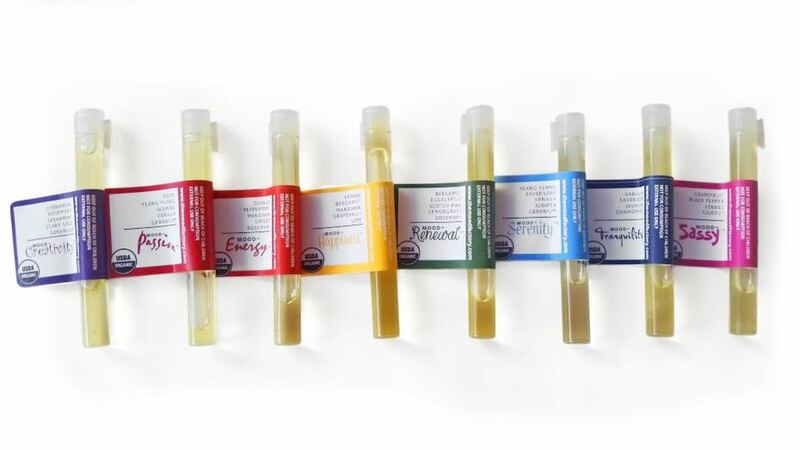 Harmonize your mood with Mini Mood-essences, an all-natural, USDA Organic Certified light blend of sunflower and jojoba oils infused with one of The Mood Factory&apos;s eight mood blends. Each Mood-essence is based on how scents impact moods, and is available in Mood-Creativity™, Mood-Happiness™, Mood-Renewal™, Mood-Energy™, Mood-Passion™, Mood-Serenity™, Mood-Tranquility™, and Mood-Sassy™. These unique scent vials are a great option for smelling sensational without the harsh chemicals found in many perfumes or synthetic fragrances. Stick scent vials in your bag or purse for a quick pick me up on the go. Apply to wrists, neck, or other sensory or pulse points and inhale deeply, allowing the scent to envelop your very being. Especially useful before a big meeting, while getting ready for a workout, or after a stressful (or fun!) day at the office. Sampler set includes one of each Mood (eight total). 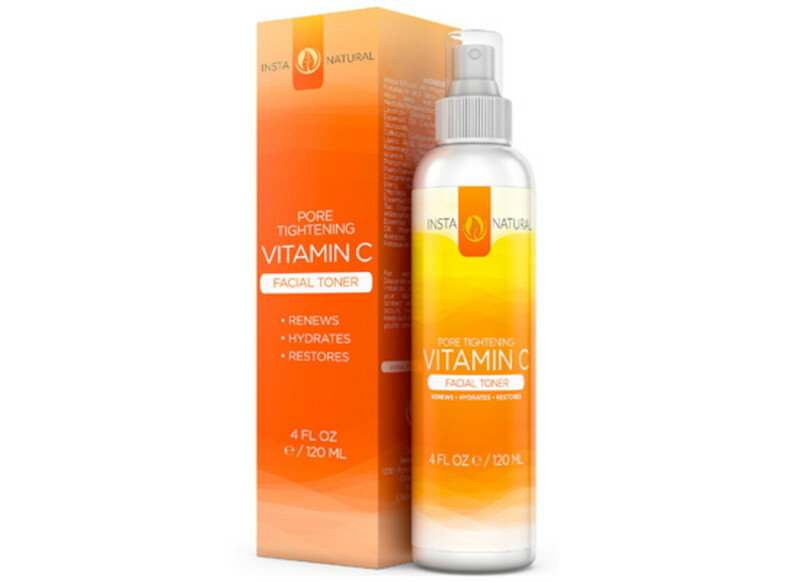 Quench your skin and defy time with InstaNaturals&apos; Vitamin C Facial Toner, a hydrator infused with age-defying ingredients that leave your skin feeling fresh and clean with each use. 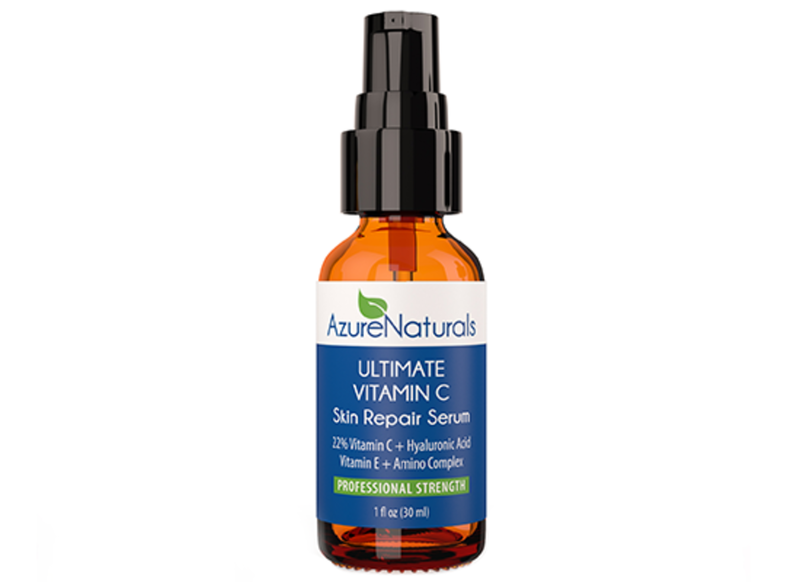 This unique formula harnesses the power of Vitamin C to renew the skin and neutralize free radicals and minimize UV damage, leaving you with stronger and more protected skin. Witch hazel’s astringent properties reduce the oil in your skin and tighten your pores while sulfur works with other ingredients to increase your skin’s elasticity. Balance your skin’s natural pH levels with each spray of InstaNatural&apos;s toner designed with both men and women in mind. Savor beauty in a cup, one luxurious sip at a time. 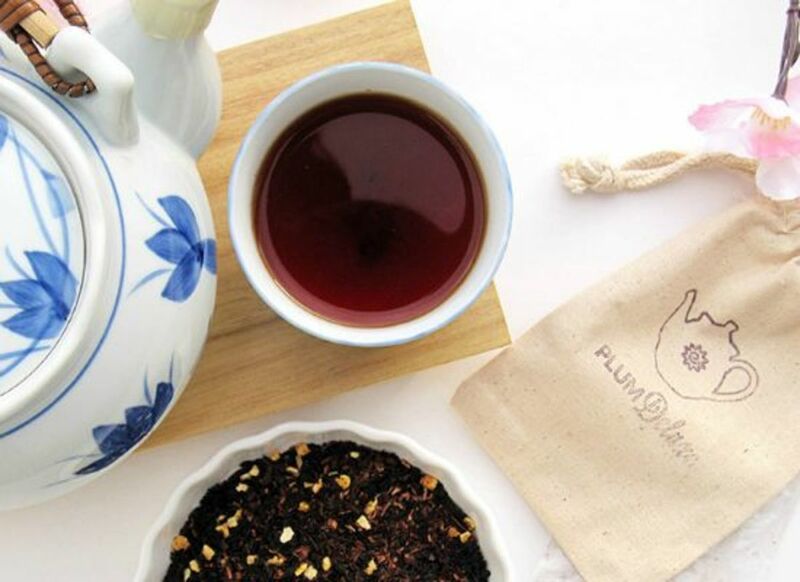 Aromatic herbs infuse Plum Deluxe&apos;s line of signature all-organic, fair trade loose leaf tea blends to help you slow down and connect with yourself and the important moments in your life--from mindful moments alone to special occasions shared with friends and family. The Self Care Blend features a calming herbal combo of elderberry apricot. The lightly-caffeinated Joy Blend is white tea with jasmine and tangerine. All Plum Deluxe teas are handcrafted with love in the company’s Portland, Oregon studio. A rotating roster of seasonal selections and a wildly popular tea of the month club are available exclusively on the brand&apos;s website. Beauty Goodie Box customers will receive 1 oz of each of the above blends (2 oz total), as well as a coupon code for a 1 oz bag of tea (of your choice) when you join Plum Deluxe&apos;s Tea Club. Put the kettle on! Pucker up wine lovers! It&apos;s your lucky day decade. deVine has taken the timeless benefits of red wine grapes and infused them into a line of all-natural (alcohol-free) bath and body products lightly flavored from the fruits and grapes found in wines. The brand&apos;s full unique wine-inspired line includes tinted Lip Shimmers, Lip Shines, SPF15 Balm, Lotions and Soaps with names and flavors that reflect your favorite wines. Beauty Goodie Box customers will receive one Bordeaux Lip Shimmer ($6), one Merlot Lip Shimmer ($6), and one Bordeaux Lip Shine ($8)--all in a small organza bag. 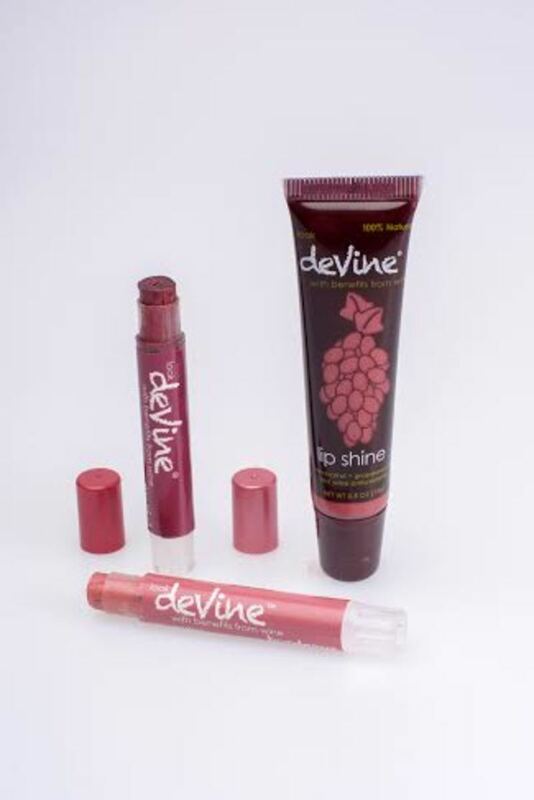 With the unique pairing of grapeseed oil to moisten and hydrate, resveratrol to promote anti-aging, and powerful red wine antioxidants, deVine blesses your lips with a healthy, beautiful, moisturized glow. deVine&apos;s line is 100% natural, made in the USA, gluten-free, paraben-free, pesticide-free and animal testing-free. Hydration is just as necessary on the inside as it is the outside when it comes to beauty. And what happens on the inside directly affects was happens on the outside, making Happy Tree Raw Organic Maple Water your beverage of choice. 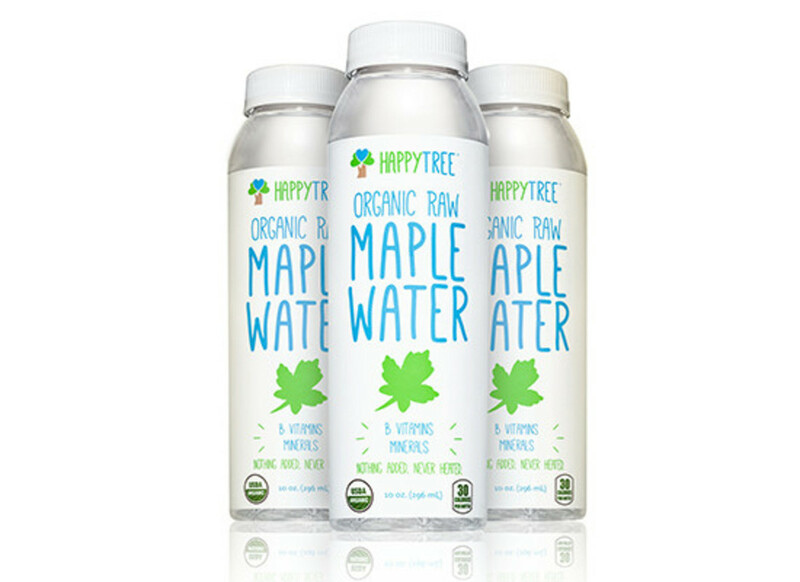 Happy Tree&apos;s Maple Water is the delicious water that flows through maple trees in the early spring. This nutrient-dense water flows up the trunk of the tree for a short period of time each spring, bringing the tree back to life and providing it with the perfect cornucopia of vitality-rich goodness after a long dormant winter. It&apos;s nutrient rich with B-vitamins, electrolytes and other minerals for natural energy, health, and hydration throughout the day. Happy Tree has a natural refreshing sweetness--with absolutely nothing added--and is great on its own or as a base for an awesome smoothie, tea, or coffee. Wild-harvested using a fully sustainable tapping system in upstate NY, which causes no harm to the old-growth trees. 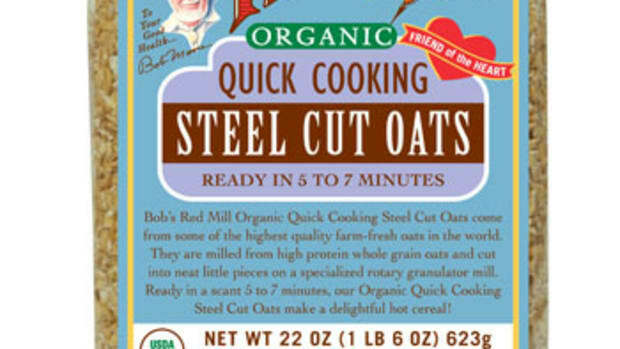 Certified organic, and never heated (raw! ), maintaining the full health benefits and integrity of this miracle of nature--from mother nature to you, all year round. 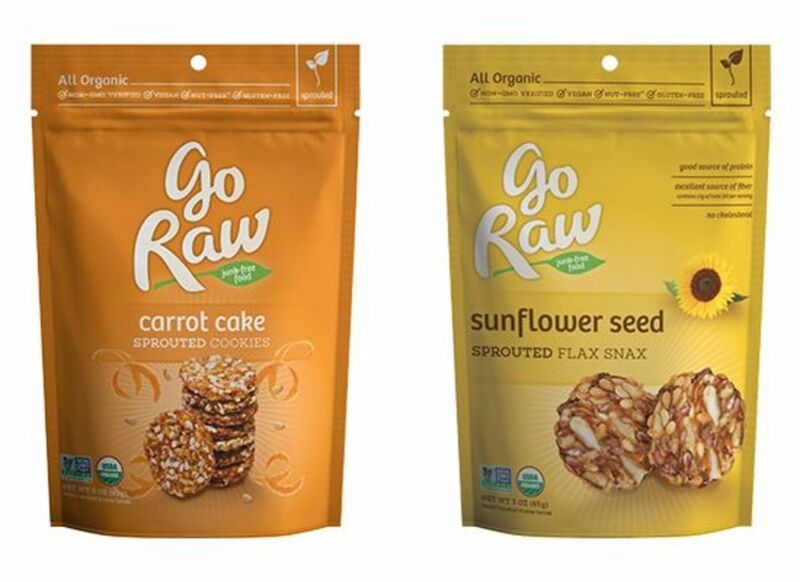 Snack your way to beauty with Go Raw&apos;s goodies. Sunflower Seed Flax Snax: Imagine the nutty flavor of sunflower seeds wrapped up in the crunchy goodness of flax seeds, and you’ll have Go Raw&apos;s Sunflower Flax Snax. These Snax are so tasty they even convert those who aren’t usually flax cracker fans! Carrot Cake Cookie: The sweetness of carrots married with the spicy flavor of nutmeg—welcome to the delicious Cookie that tastes like a crunchy piece of carrot cake! It’s got the cake flavor with the goodness of a raw snack that your body will thank you for. 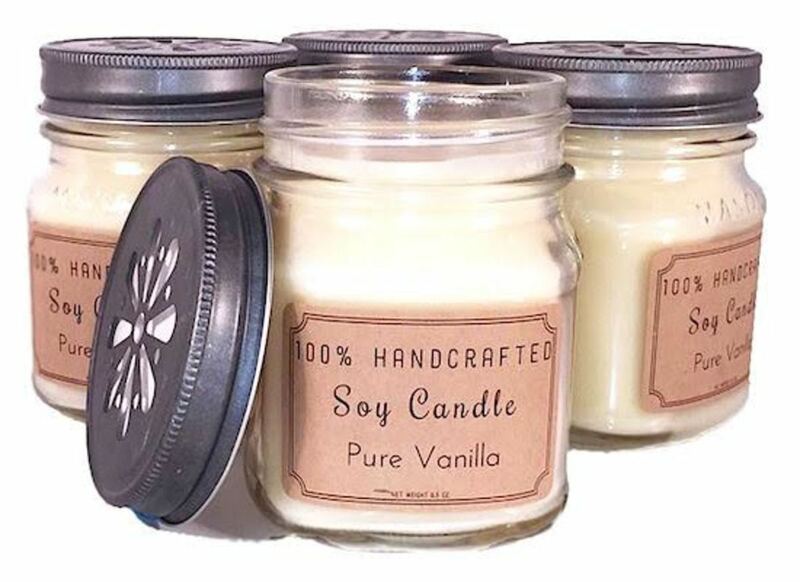 100% Handcrafted Soy Candles: Bakery Collection from Green Soap Inc. 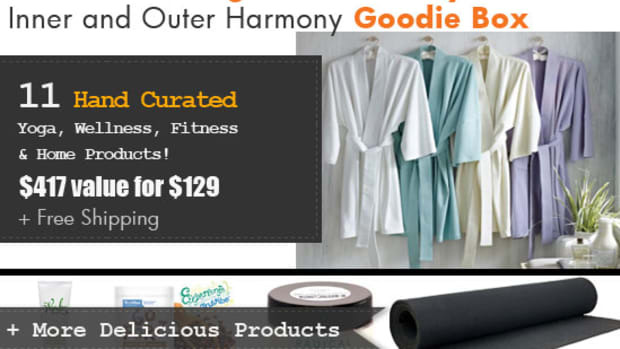 Think bakery-aromatherapy for body, mind, and spirit. Green Soap Inc.&apos;s Bakery Candles not only smell delicious, they&apos;re made of 100% handcrafted soy wax from USA-grown non-GMO soybeans, and are pthalate-free and paraffin-free--basically the best you can get in a candle. Soy wax is a renewable resource that is non-toxic and burns cleaner than your average paraffin candle (which can contain up to eleven carcinogenic compounds!). With beautiful scents, and long-burn times, Green Soap Inc.&apos;s Soy Candles give you 60-65 hours of pure enjoyment that&apos;s good for you, your family, and the environment. These yummy candles also come in adorable re-usable jars. Formulated and hand-poured in the brand&apos;s Northern California facility. Beauty Goodie Box customers will receive one candle in either Kettle Corn or Pure Vanilla. 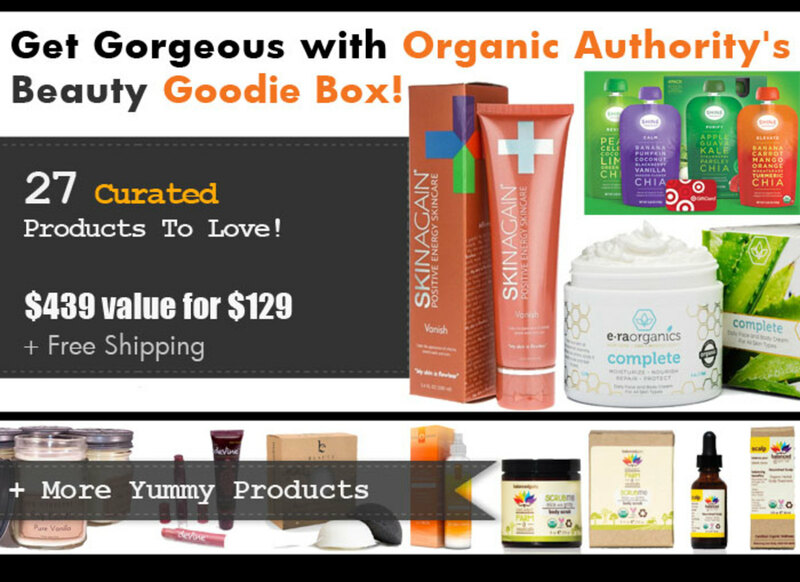 Total value of the Organic Authority 2015 Beauty Goodie Box:$439.54. Sale Price: $129.00 + free shipping! That’s a 71% discount! The box goes on sale Monday, August 24th at 8 o’clock am Pacific Time.Set your timers and mark your calendars–these will sell out fast. Buy one, two or three, for yourself. This offer is only available to the first 50 buyers. When we are out, we are out!